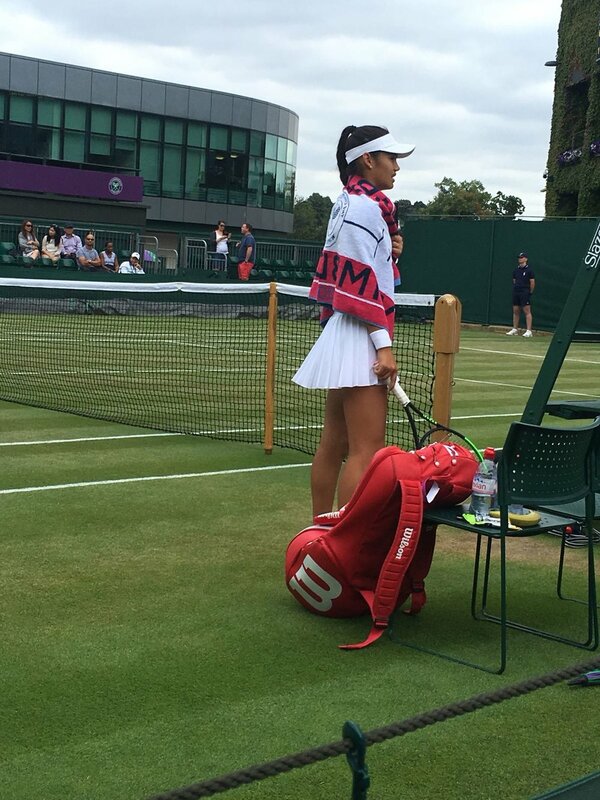 EMMA RADUCANU'S RUN AT WIMBLEDON CONTINUES! Well done to Emma Raducanu for knocking out the number 11th seed L Fernandez of Canada 6-2, 6-4 in the 2nd round of the Girls Wimbledon Junior Championship. She will now play Joanna Garland from Taiwan for a place in the 1/4 finals. Go, go, go Emma, we wish you good luck! Pictured here before and during her match (amazing technique and knee bend on Emma's serve) - but can anyone guess the Sundridge Park members who instead of watching the match on Centre Court decided to support Emma instead and were picked up on TV! Older PostMONDAY ORANGE GROUP DAVIS CUP CHALLENGE AT SUNDRIDGE PARK!